Carlisle HVAC, a business segment of a diversified global manufacturing company, Carlisle, provides a one-stop solutions for duct insulation, adhesives and duct sealant products. Carlisle’s products meet or exceed all industry standards and are engineered for easy, quick and accurate installation. The revolutionary ISAAC HVAC Robotic System is Carlisle’s answer for cleaning and sealing ductwork that is inaccessible. The use of ISAAC helps improve indoor air quality and significantly reduces energy costs to the customer. 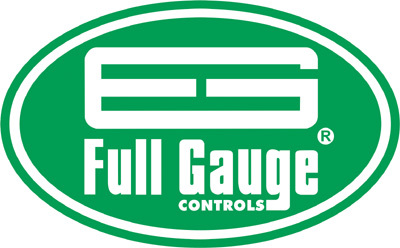 Full Gauge Controls is a leading international manufacturer of electronic controllers for temperature, humidity, pressure and electrical power for residential and commercial refrigeration or air-conditioning applications. It’s revolutionary free to download Sitrad® software provides a cost effective and simplified solution for remote monitoring, diagnostics and control of refrigeration, heating, air conditioning, electrical and solar heating systems. Sitrad® helps to safeguard food in a proactive manner by providing the user with real time data of the system on their smartphone or remote computer and also the ability to remotely make changes to the system parameters. Envira-North Systems Ltd. manufactures “High Volume Low Speed” HVLS commercial fan and ventilation systems. Available in 8 to 24 ft. in diameters, HVLS fans blanket a very large area with constantly moving air to create a widespread comfort zone. Envira-North’s HVLS fans are quiet and provide the most affordable and efficient solution to cool workshops, process plants, warehouses or any other large spaces with non-disruptive airflow, while saving up to 25% of the energy cost of air conditioning load. Lifebreath is a global leader in Indoor Air Quality (IAQ) management for residential, commercial and industrial applications. Its products improve IAQ by expelling dust, allergens, chemical contaminants, odour and humidity from indoor environments while maximizing energy recovery. Lifebreath’s balanced ventilation technology replaces indoor stale air with an identical amount of fresh air. This balanced ventilation is critical to prevent moisture build-up in the air-conditioned space which can lead to expensive rot damage and hazardous mold. Its unique dual-stream airflow design keeps outgoing stale air separate from incoming fresh air and completely rejuvenates the air throughout your entire home or office up to eight times a day, while transferring energy from the indoor air to the incoming fresh air stream via the unit’s water washable core. Dry-All is a leading manufacturer and exporter Refrigeration and Air conditioner line products. Manufactured near Mumbai, India, Dry-All’s products include filter driers, accumulators, valve accessories and many more. Dry-All is trusted by its customers for over two decades and its products are manufactured with emphasis on quality and reliability. Today, Dry-All’s valued customer base includes major OEMs in the refrigeration and air-conditioning industry.